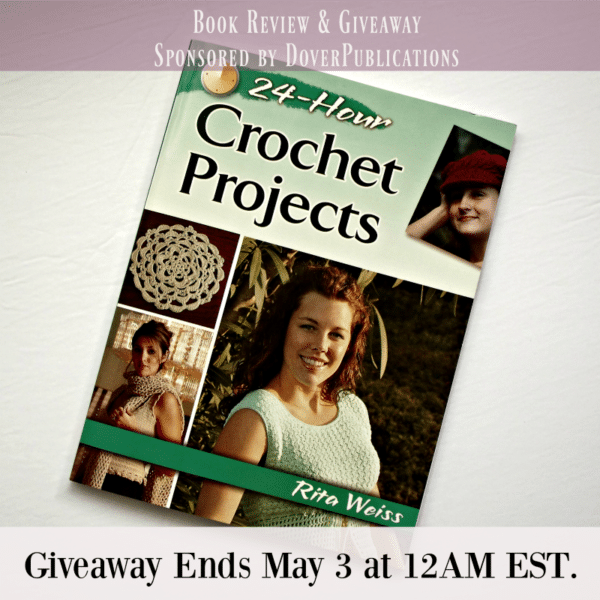 24-Hour Crochet Projects by Rita Weiss ~ Giveaway Sponsored by DoverPublications. This giveaway is open to US and Canadian residents only. Entrants must be 18 years or older. Giveaway ends May 3 at 12AM EST. Entry form is at bottom of this post. This book is one of my new favorites, not only because these projects are quick to whip up, but also because the patterns are stylish and perfect for modern times. I especially love the summer tops; but you’ll also find a few styling bags, winter hats and scarves, blankets and some pretty doilies. 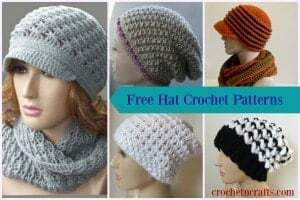 Each pattern lists a timeframe in which the project can be crocheted, making it great for choosing a last-minute gift item. 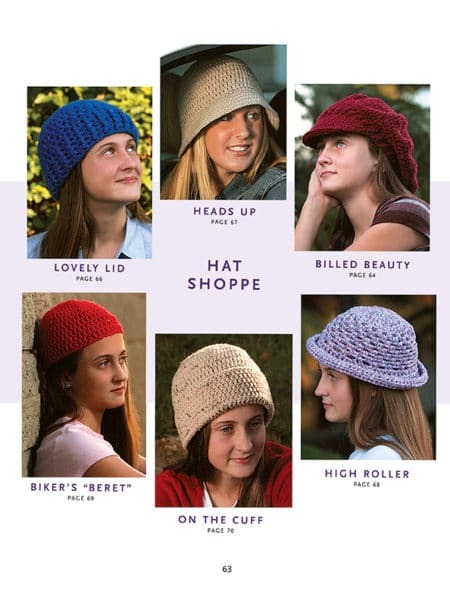 Altogether you’ll find over 35 crochet patterns designed by various crochet pattern designers. Starting at the front of the book you’ll find a beautiful gallery so you can see at a glance what you want to crochet. As you can see, with the variety of patterns you’ll find something for everyone in the family. This lacy shawl is worked up in a worsted weight yarn, making it quick to crochet. It can be worn many different ways, and also includes a pattern for a top to go with it. Here is an overview of the hat collection. I love the various styles, making it great for everyone to find what they are looking for. The “Heads Up” hat is especially awesome as it’s suitable for all seasons from summer to winter. Just choose a yarn suitable for the season. Best of all, it can be completed in about 2 hours time. 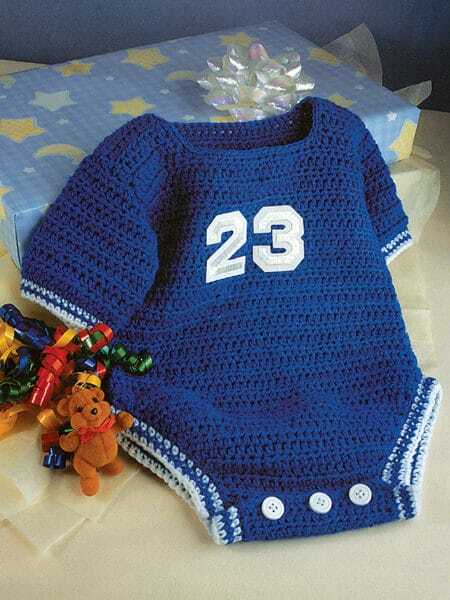 The “Little Fans Onesie” is designed to fit a 3-6 month old baby. It’s shown in a blue for the boys, but why not try it in a pink or neutral color for the girls as well. And at the very end of the book, you’ll find a refresher course on crochet. It covers the basic stitches as well as how to weave in ends. 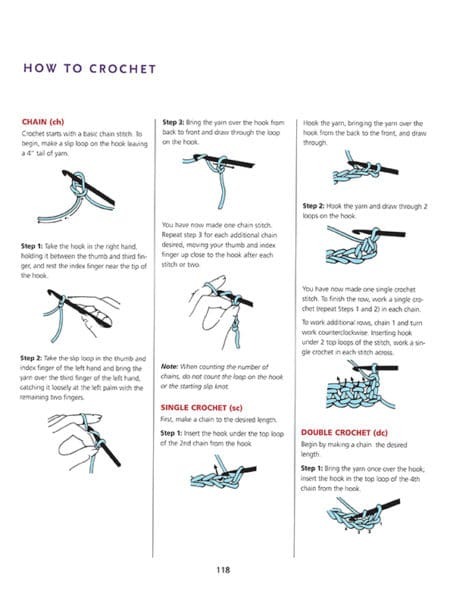 My personal favorite is how to knot fringe. It shows you how to do a basic fringe as well as how to double and triple knot it for a beautiful laced fringe. And now is your chance to enter the giveaway! Must be 18 years or older and resident of US or Canada. Ends May 3 at 12:00AM EST. One winner will be chosen. Love these patterns! My beautiful granddaughter & her mom would love the hats & beach wrap! Beautiful patterns. Would love to win this book. This looks like an amazing book, it would be an honor and pleasure to win. Thanks for this opportunity. I love new and varied patterns.